He’s written a number of best sellers including Honesty Sells: How to Make More Money and Increase Business Profits and Just Be Honest: Authentic Communications Strategies That Get Results and Last a Lifetime. Companies typically bring in Steven when they’re having challenges with honest communication, teamwork and change. Steven Gaffney: Years ago I discover that and I figured out if I can people to get this “unsaid said,” it will transform organizations and that’s exactly what’s happened. I’ve been very fortunate in my career because it’s all around getting this unsaid said. Fred Diamond: You’ve written that getting the unsaid said is the key to innovation, collaboration and growth. Tell us more what getting the unsaid said really means. Steven Gaffney: Well, let’s take a sales leader for example. They have their sales people and let’s say they’ve created a marketing strategy and their salespeople are saying, “I don’t really think this is going to work.” or “I don’t think this commission structure is really that great.” or “I don’t think my customers are going to go for this.” Do they actually say that? And you might say, “Well, some of my salespeople do.” but then are they saying the real issue? An example would be I was brought into an organization that the big complain was around their marketing material but then they pushed harder, really is it the marketing material? Because when have you ever seen any marketing material make everybody happy? It’s often just an excuse and in fact, it was an excuse. When you get this unsaid said then you can deal with the real issues. In fact, everybody kind of has a sense of this, Fred. Have you ever been in a situation where you’re talking to somebody and you’re like, “I get what they’re saying but it really doesn’t make sense.”? For example, a customer who might say, “This is what we really want” and you’re thinking, “Yeah, but I don’t really think this is going to solve their problem. Do I push harder or do I give them what they say that they want rather than what they really need?” And what I work with salespeople – and I work with sales leaders – is if you can get that unsaid said with your customers outwardly and inwardly with your team, you can transform and grow consistently. Fred Diamond: Steven, one of the big themes that we’ve heard on the Sales Game Changers podcast is because of the internet and social media the customer sometimes feels that they have enough information before they come to a sales leader and of course in the Challenger’s Sale it was published that the customer might be 57% through the process so the need for you to bring significantly more value to your customer than you ever brought before which means coming to them with solutions that they may not be aware of is critical. Steven Gaffney: Absolutely. I believe there’s so much misinformation. I’m a cancer survivor and one of the things I realized quickly on when as soon as I was diagnosed with cancer and I always tell people is actually be really hesitant about what you read on the internet. I think it’s just in life people actually think they know a lot more than they actually know but there’s incredibly amount of misinformation. Now we hear about fake news and everything else so I think a good sales person and a good sales organization who is incredibly knowledgeable is actually even more valuable than ever because they have to debunk what a lot of customers think is really going on which is very important. We need to be aware what’s out there and we need to get that unsaid said, so I would look at what’s happening in our particular industry and say to ourselves, “What’s going on there, what’s out there is it really the truth or not?” and one of the tricks I always give people – I say trick but it’s not really a trick – is to actually bring to your customer what they’re not probably thinking about. Think about what’s counter intuitive. An example of what I bring as we’re talking about this is I share with people how conflict is a sign of health. If you don’t have people arguing with you, somebody isn’t telling the truth. I flip it on its head, when people go, “Oh, we have conflict, we have issues, we have friction with our sales team”, good! Because actually that means they feel comfortable in telling the truth. What I would say to anybody out there is look at what you can bring to your customer and potential customers that they’re not really thinking about and especially the points that are counter intuitive that they wouldn’t normally come up with. Fred Diamond: How would a sales leader know that they’re having a problem with the unsaid not being said? Steven Gaffney: One of the signs is actually there is no conflict, where everything is great but it isn’t great. Like an example, a symptom of the problem would be that we’re not hitting our sales goals. That’s one obvious one but I think what to really look at is how often are your team meetings having big, healthy debates. Here’s one of the signs: You want to make sure you have positive debate. Let’s talk about that. First of all, debate is really critical as we just talked about but positive debate is not where people are just being negative, they’re actually adding things. That’s where somebody says, “Well, I disagree but what if we did this?” that’s a positive debate. They’re adding value to it. One of the signs to look for with your sales team and actually I believe in all of our relationships if is there is positive debate and if there isn’t, that’s a big problem. So that unsaid said also goes a long way with not having people share ideas, so positive debate and then spontaneous, what I call borderless ideas. In other words, you’re crossing the border of what you’re responsible for into somebody else’s world and giving them ideas. 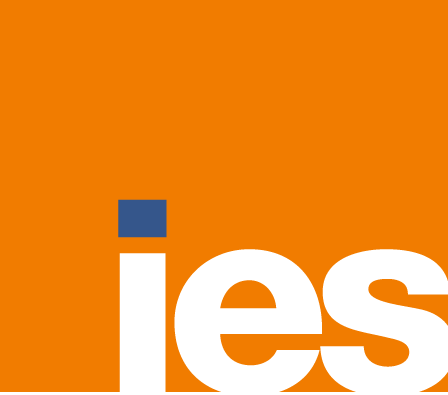 Fred Diamond: What are some tactics that sales leaders can take? Let’s say that there are people in their team who don’t want to look stupid or they’re afraid or it’s just not in their nature but they’re good, talented people to debate or to bring up conflict. What are some strategies that sales leaders can take to continue to get the unsaid said when those types of situations are endemic? Steven Gaffney: That’s a great question. Let’s look at first of all the reason why it isn’t being brought up and there’s two major reasons why people don’t share things: fear that they’re going to look stupid, it’s going to go on the list or it’s going to be used against them and that they’re going to be judged. An example would be let’s say a sales person or someone has an idea and they think, “Well, maybe it’s a crazy idea, I don’t want to bring it up” so it’s all around fear and judgement. If you can create safety – in fact, and we can talk about that – and a feeling where we’re not judged and there’s no judgement or if we are going to judge at least be honest about it, people will share the truth and here’s why, Fred. It takes much more psychological energy to keep something inside than to let it out. Think about it this way: If you’ve ever had a secret or you’ve ever had something on your mind and you’re thinking, “Should I bring it up or should I not?” If you keep it inside you, it actually takes a lot of energy and stress but if you feel safe and not judged, you’ll share it and if you share it it’s so relieving. What I always tell people is when you have somebody who’s – they used the wrong terminology when they say introvert because that’s not really what an introvert means, introvert means how you get your energy – but somebody who’s quiet and they go, “I’m not the kind of person who shares” no. They have had a history or they have a feeling of fear and being judged so you got to make them feel safe, so what can you do? The first thing we got to do is ask questions. A lot of reasons why people don’t share stuff is they say, “Nobody’s asking me.” You want to ask them and then when they start to share anything, even stuff you’re sitting there going, “I don’t really agree with” or “maybe it is kind of a crazy idea” or “They should know that” be careful not to be defensive because here’s another big takeaway for anybody listening about what to do around safety and judgement. We train and condition people every single day in how to treat us. An example would be, Fred, have you ever had somebody say, “Listen, I want to get your feedback on something” and you give them your criticism because that’s what’s appropriate and they start to get defensive and they flip out on you? You think, “Next time, I’m not going to go there.” In fact, everybody can think of people in their life where they’re like, “I’m not going there.” Because they have trained and conditioned us to lie to them and I see this in countless times in organizations where leaders tell, “We want to hear the truth, we want to know” but then as soon as somebody says something that they don’t like, eyes rolls, they avoid the questions or they get defensive and they attack back. You have to create that safe environment so watch how you are responding. First step is to ask questions. Second step is to not get defensive and third, this is really critical, reward honesty. Reward honesty doesn’t mean you have to give them money, it means thank you for sharing that and the best way to reward honesty is to use what people are sharing with you. To say, “Wow, that’s really interesting, I appreciate about your feedback on the commission structure. It’s not what we thought but actually I’m going to take this into account” and then if I come back and I at least show them how I’ve used their feedback to me, they’ll be rewarded because the #1 way to motivate people to give ideas is to show that you’ll use their ideas. So first step is asking the questions, second is to train and condition people to be honest and third is to reward that honesty. Fred Diamond: Let’s talk about honesty. 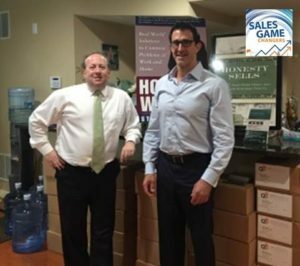 Again, this is Fred Diamond, Sales Game Changers podcast, we’re talking to Steven Gaffney. We mentioned during the introduction that CBS morning news once referred to you as the honesty guy and you’ve written a couple books on the topic. Let’s talk about how honest you need to be. Is your premise basically that you need to be 100% honest? Eliminate the little white lies? For example, I’m thinking about sales pipeline meetings that I’ve been in and we’ve been asked to help companies with. You see deals listed at 50, 70% when you know for a fact that all of the right steps haven’t happened. Talk about that, talk about your philosophy on how deep honesty truly has to be. Now I really do believe it hurts the organization because you can’t fix a problem that nobody tells you about so what we really need to look at, are we creating a culture in which people will share the truth and that’s a big part of what I do with so many organizations. They always talk about their culture but are they creating that culture where people feel safe and not judged to really say what’s going on? And the truth is, Fred, so often either intended or unintended ways of responding actually inspire people to be dishonest because they don’t feel safe to tell the truth. Fred Diamond: As part of your training, do you work with the sales leaders to push back or do you work with the sales professionals to “be more honest”? Or is it both? Steven Gaffney: Both ways. First you got to look at the culture and there’s certain ground rules and expectations and you’ve got to set that out and reward people for being honest, exactly what we’re talking about. Years ago, a big breakthrough in my business was when I uncovered and created a 9 step formula on how to share the truth with anybody so it doesn’t go sideways. In other words, how do you resolve any issue, it doesn’t depend on the age, the background of the person, anything. They can solve it with anybody and I’ve actually taught this system all over the world and that’s a big part of it. Here’s something else: I’ve coached many leaders and executives. I’ve never ever had the following thing happen. Never had them have a conversation with somebody and said, “I should have given it more time.” In fact, even when they’ve had to let somebody go and this is all across organizations and I do work with Marriott, all kinds of organizations, Lockheed Martin, you name it. Let’s say I’m a goal producer company in the world. I’ve coached so many people and I’ve never had a situation where somebody’s had to let somebody go, make a change in their job or deal with something and said, “I should have given it more time.” They always think, “I should have addressed this much sooner.” So think about as we’re sitting there listening to this podcast for those people listening and they’re thinking of some of the issues, how long are you holding on and what are you waiting for? Take care of the issue today. Fred Diamond: Steven, we have a lot of young people listening to today’s Sales Game Changers from around the globe. As a matter of fact, the majority of our listeners are people who want to improve their sales careers and take them to the next level. Before we take a short break, why don’t you give us a couple thoughts on specifically someone who’s let’s say 25 to 30 who is successfully past the first or second hurdle of their career and definitely is on the right track. Why don’t you give us some thoughts on how they should be thinking to more effectively achieve a successful career, an enterprise or B to B sales? Steven Gaffney: Honesty, honesty, honesty and relationship, relationship, relationship. Let me talk about first the honesty side, we’ve already been talking about it but let me just say it in a different way: do not use sales gimmicks. There’s so many gimmicks that are taught out there like mirroring and all this stuff, it might work but you’re going to uncover somebody, the higher level customers who are very on to these gimmicks and even if they don’t know the gimmick they just feel like something’s not right. It’s just so silly because then fortunately I’ve had people who sometimes have come and contacted me and I was like, “Wow, that’s amazing.” So what I’ve come to realize is it’s all about relationships in a marathon so honesty and relationships are really what I think everybody should be paying attention to. Fred Diamond: We’re going to take a very short break now, listen to one of our sponsors. When we come back, Steven, I’m going to ask you for specific ideas on how young sales professionals can build those relationships but before we go to one of our sponsors I believe you have an offer for some of the people listening to today’s Sales Game Changers. Steven Gaffney: Oh, yes. Here’s the thing: People listen to podcasts, they listen to all kinds of things and they go, “OK” and then somebody typically makes some kind of offer which is really a sales offer. I’m not going to do that. Here’s what I want you to do: If you used something that we talked about and it benefited your life, send me an email and I’ll send you the very first book I wrote that is still one of the bestselling books I’ve written called, “Just Be Honest.” I’ll send it to you for free. Now, it’ll be the electronic version, the iPad, Kindle, whatever version you want and we sell it, so it’s not just something we give away for free but we sell it and I will give it to you for free. All I ask is you use what we talk about. Pay this forward, do something with your life out of what we were talking about. Fred Diamond: Steven, why don’t you tell us the 4 things that sales leaders need to be doing today to be successful? Steven Gaffney: Actually, let me cover there’s 5 things I want to make sure. Steven Gaffney: Because I want to add one that I think is really critical out of what we’re talking about today, so the first one is to have a vision of success. This is so important because people are inspired about where we’re going and a vision of success really means a picture. It doesn’t mean we’re going to be the best team ever, it means maybe it’ll be, we’re going to hit 1 million new potential customers if that’s what it is, or 3 new customers or this market or we’re going to make our customers vote for us as the best vendor they ever had. I’m making this up but the point is give people a vision that they can be inspired to. When you look at the greatest leaders of our time, they all created a wonderful vision so they’re many elements of this but the big thing is to remember that people think in pictures, not in words. When you’re creating that vision of success, what exactly does that mean? And paint that. Fred Diamond: How do they physically do that? Do they come to the office with a drawing of a success or what do you recommend they physically do to get that message for us? Steven Gaffney: First, they could actually have a picture of something but what usually happens is they actually write it out and it’s what they would be. It could be something as simple as a financial goal but here’s the key. The most important thing about a vision of success is that it’s specific and it relates to other people so sometimes I work with customers that are just around revenue and profit which is maybe inspire some but most people it doesn’t really inspire them. They want to know with how it relates to them, not only about money but really about maybe making a difference with the customer. I know I do a lot of work with the defense contractors for example and a lot of the B, D sales people involved in there are really inspired by the mission in protecting our country so whatever your product or your service is, relate it and make sure it’s a crystal clear vision of success and it actually relates to other people. Makes sense? Fred Diamond: Yeah, it does. Steven Gaffney: Second is benefits. What’s in it for other people? As a leader, whenever you’re creating that vision of success, relate it to what it means to your salespeople. Relate it to what it means to you customer. There are many drives of human behavior but one of the big drivers that I see that gets left out is making a difference. We all want to look back at our life and say we contributed so even people that say they’re money motivated, there’s something so exciting to say to a customer, “Wow, you changed my life” or “You helped me get promoted” or “Because of what you did for our company I look great”. I remember I was working with some leader and what he did I thought was fantastic, is he would say, “OK, what are your goals?” and they would say, “Oh, my goals professionally” and he said, “OK, what are your personal goals?” and they say, “Well, to work out, have a vacation, do something with my family, whatever.” and then what he would do is he periodically would walk around and say, “How are you doing on your personal goals?” and what he did, why he did this is he wanted to send a message that I care about you, it’s not just about business. Yeah, we got to make money, we got to produce goals but I also care about you so relate it and think about what’s in it for the other person and tie it into that. Not only the business objective but the personal objective. Makes sense? And I’ll often say, do you know a startling statistic that 70% of organizational changes fail to achieve their original objectives? Which means that most people who have experienced change or “change” by the company, a re-org or whatever has seen things not go so well so there’s a natural sense of skepticism so here’s what’s critical about turning non-believers into believers: get that elephant, that unsaid and get it said and talk about what’s different. Talk about why this commission structure is going to be different, why this market segment and market strategy is different from the last ones that they may have experienced. Get that unsaid said, but here’s what’s critical: You’ve got to address these non-believers because if you leave them alone, they will be a cancer to other people in the organization and they will bring other people down. I use that word cancer again being a cancer survivor because if you look at cancer it starts off with one cell and it spreads. You’ve got to get this addressed but don’t make people feel bad about their skepticism, address the skepticism and get it resolved. Fred Diamond: Have you seen situations where you talked about conflict before, organizations that are let’s just say have a couple of these skeptics, if you will, and you know who they are. The word cancer is actually a very powerful word. Have you seen situations when that has worked to the person’s advantage or you just got to get rid of them? Steven Gaffney: So many people say you got to get rid of them but first of all, in this day and age at least the time of this podcast, unemployment is in effect zero. It’s actually hard to get and retain good people so yes, if they continue to be negative about everything you’ve got to make a move, there’s no doubt about that but I really believe that so many people want to be turned around. Here’s the thing to remember: the opposite of love is indifference, not hate, not mad. If you’ve got somebody mad or negative you can turn them around and when you do they can be your best advocate. I cannot tell you how many of my customers are customers to me and incredibly loyal who once I started to work with them – and it took a lot of conversations – have said to me, “I’m not a big fan of consultants because so many of them burn but you have transformed the way I viewed it and you perform great results” and they’ve been so loyal to me because I’ve been able to convert that. One of the ways to convert that is to not make people feel bad, so yes you’ve got to get it addressed but instead of saying, “Oh, we’ve got to get rid of Elmer” eyes roll, why not address him and maybe they’ll give you really good feedback. Maybe they’ll say, “You know what? I don’t think that marketing strategy is really that great.” “Well, why?” and you might think it’s great but maybe their constructive criticism, you can turn it into a situation where like, “You know what? That’s a really good point. I never thought about that.” So much in life we learn because we’ve either gotten feedback that is really hard to hear but somebody’s willing to say that so that’s why you have to address non-believers, but just don’t make them feel wrong, turn them around and they can be your best advocate. Fred Diamond: Very good. What’s the fourth thing? Steven Gaffney: The fourth thing is steps. When you’ve got vision to success, value and then benefits to the other person and then you’re talking about the whole thing converting non-believers into believers, now you’ve got to turn it into steps. What are we going to do? This is where you might have outings with your salespeople, but I’ll tell you something else that a lot of people don’t think about that I’ve helped organizations with: A lot of reasons why salespeople are not as effective as they could be is because they don’t know all the capabilities of the company. They just know what they’ve been taught and they have their favorite solutions but we don’t nearly spend time to know all the capabilities of our company. I’ve actually helped organizations transform by actually leading meetings and showing them there’s a way – and we can talk about this – where actually you’re briefing out capabilities and also successes and challenges. In other words, you’re creating that openness where people are sharing but really what I want to focus on is the capability so ask yourself, test yourself. Pull your salespeople aside and say, “What are our capabilities of our companies?” Ask them and if you ask them separately I think you’re going to be surprised. Now, don’t get defensive back, save yourself, we need to spend a much better time at educating our salespeople. Even our best salespeople, because even our best customers could grow even further if they knew all the capabilities. I really believe one of the reasons why customers don’t share what they always need, one of it is they fear we’re going to burn them but the other thing is they don’t realize a company can do all of what it can do. I can’t tell you how many times this has happened to me, kind of embarrassingly, just said, “I didn’t know you do that.” I’d say, “Well yeah, I do do that.” I’ve learned a big part of what I need to do and also what I coach other people is capability so that’s the fourth step. The fifth step is about appreciation. My gosh, people are so stingy on their appreciation. I’ll never forget, I had a friend of mine, she goes, “My boyfriend doesn’t like honesty.” And I said, “What’s going on?” and she says, “I tell him every time he messes up.” and I said, “Well, do you tell him anything nice?” and she goes, “I don’t want him to have a big head.” I can’t tell you how many times leaders are afraid that people are going to have a big head or they’re going to leave them. Then also appreciate them for doing a great job and you might say, “We do, we pay them well.” Yeah, but people really want to hear it, say it. I think we rely way too much on these plaques and awards and we forget the day in and day out approach about appreciation. I can tell you this, I’ve never – and I’ve talked to many HR people who’ve conducted many exit interviews – nobody’s ever let a company because they were appreciated too much. “Couldn’t stand it, people said thank you too much to me, I’m out of here!” Just doesn’t happen. Fred Diamond: I have a question for you on that topic. One thing we’ve noticed frequently is that people embrace what they’re not able to do, it’s like they think about the deal that didn’t close. As a matter of fact, we actually had a speaker recently who talked about the concept of the next play. OK, it’s over, it’s in the past, move on if you will. How do you get people to appreciate the positive things that are going on as compared to focusing on what isn’t going correctly? Steven Gaffney: You reached a really great point, but first I want to address something. I actually don’t believe that we should just go to the next step, I think there’s great value in failure. I can tell you countless times in my life all the mistakes I’ve made but actually it’s made me much stronger. Early on real quickly I was a year into me speaking, I completely screwed up a speech so bad that half the people left. They did not wait for a break, Fred, they just left and I was so demoralized but I realized I didn’t know how to manage group dynamics and I studied it and I never had a problem with that since. My point is I think it’s sometimes too quick where people say, “I don’t want to go in the negative”. No, we need to dwell into what went wrong but to your point, we also need to say what went right. I was working with one executive and I said, “How’d your year go?” and he said, “It went really well.” I said, “Why?” and he goes, “Umm…” and he started rambling and he said, “I’m always focused on how we can do better in the problems and I’m not focused in what we did right and if I’m not, my people aren’t. Thank you, I need to make sure that gets focus.” So what can we do? Whoever asks the questions controls the conversations so as a sales leader and just in our life, make sure you ask the right questions. You can say, “How can we do better? What are the lessons learned?” but then what we also want to say is, “Before closing, what went right? What was the best thing that happened to you this week?” Why not have that be the close of our meetings at the end of the week? What was the best thing? Why not start the week with what was the best thing that happened last week? Remember, whoever asks the questions controls the conversation which means as a sales leader you literally control, and I mean in a positive way, how your salespeople are doing by the questions you ask. Are you taking them down a path of victory or a path of destruction or sadness or failure? A lot of it is our questions so ask the right questions and we’ll get great answers. Fred Diamond: Today’s Sales Game Changers podcast we’ve been talking to Steven Gaffney, again CBS Morning News called him the honesty guy. He’s given us some great insights into how you can take your sales career to the next level, some great insights on how sales leaders can be more impactful by focusing on the vision of success, communicating that to your team, what the benefits are that your customer, your team are going to unfold as they continue. How your beliefs, how are they structured, what are the steps you need to take and then showing the proper appreciation. Steven, what’s the best way for our audience to reach you? Steven Gaffney: If they go to our website justbehonest.com which actually is the title of the first book which is also my offer, if they take what they learned and they send me an email at steven@stevengaffney. If they send me an email that they used something that we talked about, they don’t even have to say what they did and I’ll send them the very first book, the electronic version, Just Be Honest. So our website again is justbehonest.com.